Discover a world beyond reality on the Must Fest 2018. Become a part of a wonderful fairy tale where you will meet Queens, knights, clowns and even magic doors. You’ll have a two-day adventure in a world where magic is real. Cricova invites you to the most Grand Festival of wine and music. and an unforgettable light show. 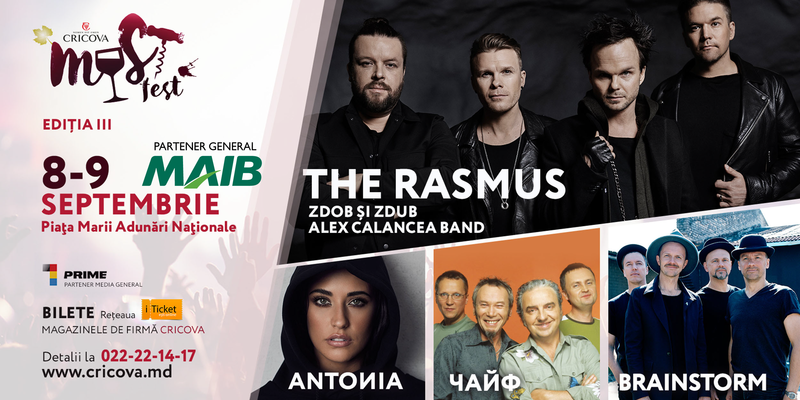 Come and be a part of the Great Festival of wine and music “Must Fest”! On 8 and 9 September are expected in the Great National Assembly Square for the positive emotions and plenty of good cheer. – Children up to 12 years old have free access to the event.